In the early stages of the vv-vaping (variable voltage) & e cig boom the e cigs market was flooded by cheap imported vape pen and e cigarette vape kits and e cigs which put off many would-be vapers and those wishing to find an alternative to smoking. Simply put – these e-cigs were just awful. Generally consisting of a cheap plastic refill, a separate atomiser and a battery – the 3-piece e-cigarette. Well known e-cig companies were no more than importers of generic Chinese electronic cigarettes which they simply branded as their own. 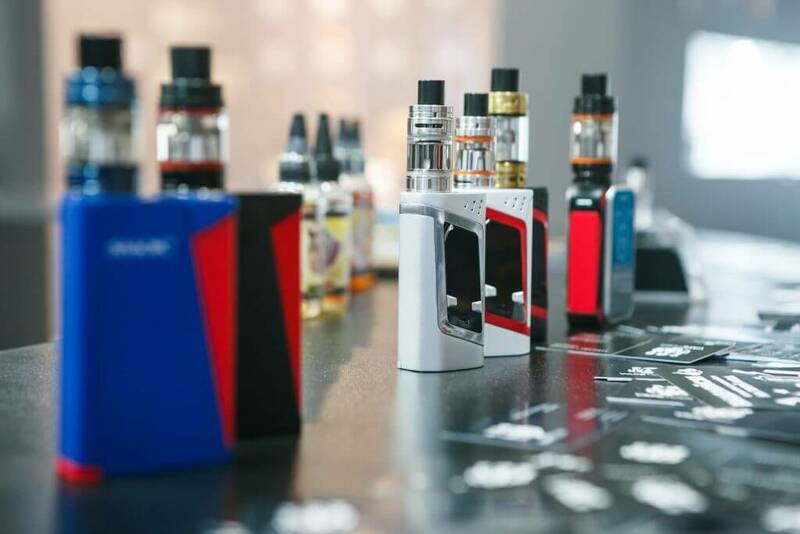 Marketing strategy was simple – get the vaping kits out to retailers, on a sale or return basis – many shops and garages still have 3 or 4 vapour cigarette sales units full of different e cigarette brands sitting somewhere behind the counter. Alternatively ebay and the like offer a plethora of cheap vape devices of dubious quality. Larger scale e-vape devices eg. the ego type vape cigs, some with variable voltage were introduces to combat the poor quality batteries of their smaller counterparts. You would need to “load” these with your own e-liquid which you purchased separately. Some need to be manually adjusted in order to obtain the best voltage for your e-liquid. However this can make vaping awkward and cumbersome, not what the general public wanted though. Ego’s have done well compared to standard e cigarettes and a market for larger scale vaping devices does exist. However – had original e-cigarettes been effective I do wonder if these larger scale devices would have ever been developed let alone found a market place. Cheap eliquid refill by big tobacco! Big tobacco entered the market 2012/13 with vast amounts of money to throw at marketing, sadly it would appear not much budget has been set aside for development of the actual vaping product they offer. Paradoxically, BAT the worlds second largest tobacco player now owns the Vype brand. Though e vapour production has been increased and is considerably more than the early e cigs the quality is simply not always there. Surprisingly one of the large tobacco owned e-cig companies still sells the original 3-piece e cig – a first generation e cigarette. The refills on these are plastic caps which hold e-liquid in a tiny sponge – this pushes on to the atomiser. Better Development in E-Cigarette Market? Everybody is doing almost identical things, offering either small cig-like e-vapour cigarettes, like the Vype eStick (reviewed here) that don’t seem to last or ego type derivations that it is difficult to envisage transitioning from cigarettes to. Or they sell both types similar to the eStick or Vype ePen. Then there are also vaporizers. See the Vape Pen review here. Vast majority of e-cig brands are NOT e cigarette manufacturers. They outsource their product supply to a factory that makes a variety of other e-cig products. They don’t have their own factories – they are marketeers that re-brand similar products imported from China. Nothing wrong with products from China, as long as there is proper quality control and accountability which is not easily done if you don’t own the manufacturing process. 2015-2016 saw the expansion of the new “vaporizer” type alternative ie. the vape pen or e vapour pen, Shisha pens, Hookah pens. The “vape” language is evolving – first simply electronic cigarettes – now we have vaporizers and e-vape kits. Many of these are just larger ego type electronic cigarettes, some are designed to sit on your desk with prices upwards of £150! Some allow the user to use alternative materials waxy oils, herbs along with e-liquid and in some countries where cannabis is legal you can get a weed vaporizer or e-joint. I am surprised that some sites actually advertise “best weed vaporizer” and Google Ads even allow this, let alone the fact that you can vape weed… Marijuana vaporizers what next! You would not think it legal even to advertise this in the UK. Many companies boast as having the best vaporizer but they actually use combustion on the dry herb/tobacco material used rather than vaporize it – not clever as this is just like smoking but using electronics to burn the material rather than a match. Combustion of tobacco is what causes the vast majority of health issues related to smoking. Proper Vaporizing involves no combustion so avoiding many of the 2000+ chemicals associated with smoking and related health issues. Make sure that if you are looking to vape you are using a proper vaporizer, not something with a heat element that effectively burns the material. For 2017 you can now get a “thinking” vaporizer or vaporizer pen that knows what material you are vaping, containing its own chip it optimises the temperature and voltage to ensure an optimum vape without user input. Introducing the APV or advanced personal vaporizer e cig. A multi-medium vaporizer! For dry herb vaping you will need a good grinder too. A Last word on the e-fuel – ie. safety of e-liquid or vape juice. This market is unregulated so you need to police your own e liquid to ensure you use the safest e liquid brands available. There are many reports available that indicate that there is a huge difference between ingredients used by e-juice manufacturers. Some ingredients contained in some e-liquids are seen as potentially dangerous and are not safe to use. E-liquid health and safety should be your priority. Companies are slowly recognising the fact that pure safe e-liquid is imperative and a few have introduced proper lab tested pharmaceutical grade e-liquids. Make sure you know what’s in your e vapour! For proper tested eLiquid shop here , alternatively if you require a major reputable supplier with full tested VG eliquids and clean ingredients with full disclosure see here. So where are we now. UK and EU TPD legislation is now in force and imposes basic regulation in the e cigarette market. This may take some time before it is fully developed. To our knowledge there are only two companies who actually own their own factory/dedicated production line that offer e cigs in the UK – ie. Companies that do not simply import and re-brand. These are the only two electronic cigarette company to employ a vertically integrated business model where they manage the entire product life cycle to ensure the most stringent quality control and best customer service. VMR Products LLC, who make the V2 brand (Vapour 2) is one of these companies and it is due to this underlying factor that their product is both innovative and of high quality, V2, or Vapour 2 in Europe are constantly chosen by vape pen review sites as the best e-cigarette out there. Reviewed here. This is the only way to ensure proper quality control during the manufacturing process –importing form China and re-branding is not the safest way. It hinders both quality control and innovation. Make sure you read our best e cig reviews to ensure you get what you need. We analyse and compare the best on-line electronic cigarette reviews and e cig guides including user reviews & ratings, compile their results in one place to give you an impartial and independent guide for the best vaping experience.